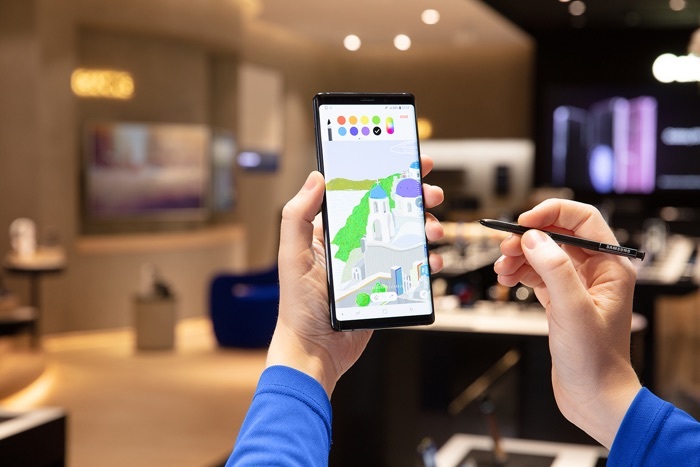 When the Samsung Galaxy Note 9 launched in the US only some colors were available, the Cloud Silver model launched last week and now the Midnight Black version of the handset has gone on sale in the US. It looks like only the 128GB version of the Midnight Black Note 9 is available so far, the 512GB model will be coming in a few weeks. As a reminder the Samsung Galaxy Note 9 comes with a6.4 inch display with a QHD+ resolution of 2960 x 1440 pixels and a Qualcomm Snapdragon 845 processor. The handset comes with a range of storage options to plus up to 512GB there is also a microSD card slot which takes up to 512GB cards, this give you a combined 1TB of storage on the top model of the handset. The Galaxy Note 9 features dual 12 megapixel rear cameras for photos and videos and a single 8 megapixel front camera for Selfies and video calls.